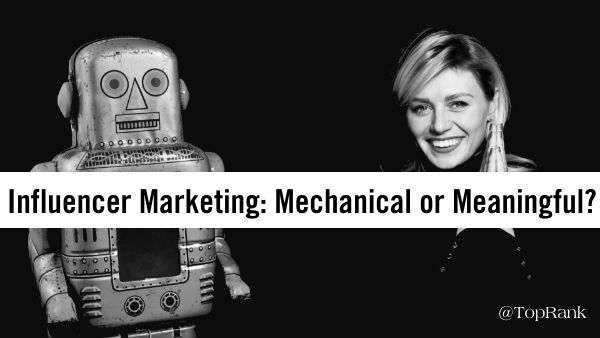 B2B Marketers: Is Your Influencer Marketing Mechanical or Meaningful? If they don’t care, they won’t share. With the need to scale and drive efficient performance, many B2B marketers work hard to operationalize their efforts. While process brings efficiency, a transactional approach to a relationship-centric discipline can reduce effectiveness significantly. The effect of a mechanical vs. meaningful relationship is particularly impactful when it comes to influencer marketing. This is why many in the field call it influencer relations – it’s a relationship business, not just an advertising buy. Now that is not to say that paying B2B influencers is out of the question. 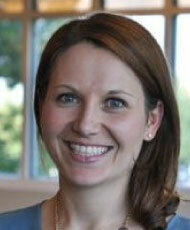 In fact, it makes sense to clearly outline the situations where payment is appropriate and where it is not. For example, if you ask an influencer to attend an event and emcee a track or co-author an ebook, payment for that expertise and time is definitely appropriate. If you invite an influencer to share a quote for an article or be a guest on a podcast, then payment is less likely to be involved. B2C brands pioneered the use of influential voices to boost their brand appeal, sales, and campaigns. 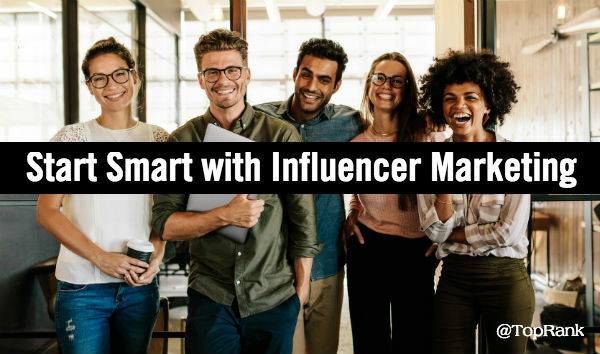 And as more and more B2B brands and marketers dive into the world of influencer marketing, the question is: How can we leverage the knowledge, insights and tips B2C marketers have to share for our marketing efforts? Last week, a panel of foodie influencers and bloggers provided some insights that can help answer that question. My TopRank Marketing colleague Jack Fitzpatrick and I attended Social Media Breakfast – Minneapolis St. Paul’s (SMBMSP) panel moderated by Michele Phillips, a food blogger, writer, photographer and content creator, which included food personality Lindsay Greene, tweeting BBQ enthusiast The Product Poet, and Eat.Drink.Dish MPLS founder Golnaz Yamoutpour. 65% of multinational brands will increase Influencer Marketing spending in the next 12 months reaching $10 billion over the next 5 years. With so much at stake for marketing in our fast paced industry, senior marketers must be able to see both the forest and the trees when it comes to influencer marketing in the B2B world. Much of what the marketing industry knows about working with influencers is seen through a consumer marketing lens often with the self-anointed social celebrities publishing ads as content without real passion for the brands. With so much of influencer marketing akin to “get rick quick” with a shiny marketing object, many B2B marketing leaders can acquire unrealistic expectations about what works and what doesn’t with influencers in the business world. 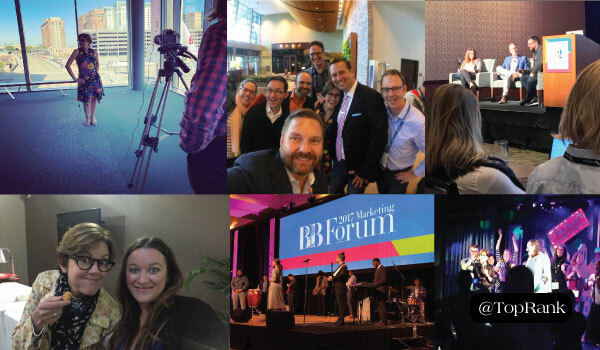 The MarketingProfs B2B Forum is hands-down one of the BEST conferences you can attend as a marketer. The keynotes are inspiring, the sessions are high-quality and the vibe makes you feel at home. Ann Handley and the MarketingProfs team work incredibly hard to orchestrate this great event each year and it shows. 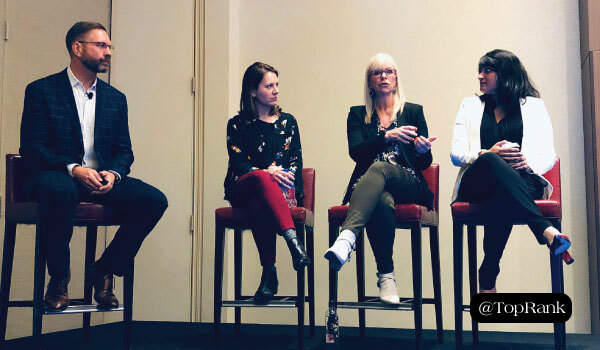 The team at TopRank Marketing has been attending conferences like this one for decades and has been able to hone our focus to make the most of the time and investment that are made. Below are some highlights to help you get the most bang for your buck at events. 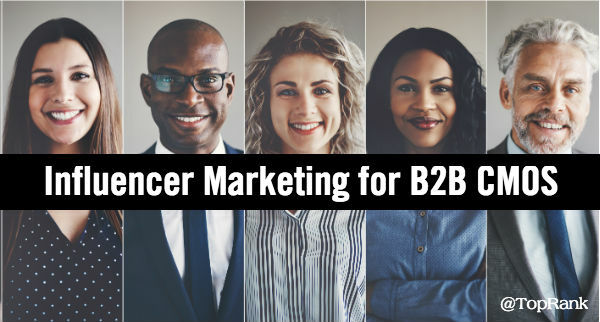 Influencer marketing is a phrase on the tip of most marketer’s tongues, but many are still struggling to figure out exactly what it means in the context of their B2B business and how to implement. 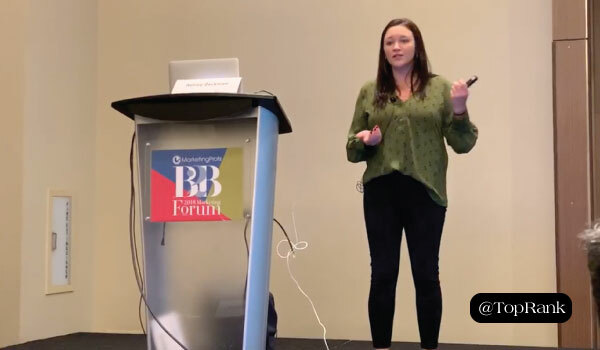 At last week’s MarketingProfs B2B Forum in San Francisco, TopRank Marketing’s Ashley Zeckman took the stage to help set the influencer marketing story straight and provide insights into what it REALLY takes to develop a successful B2B influencer marketing program. Why the Sudden Need for Influencer Marketing? Trust in marketers has fallen. In fact, a recent study by HubSpot found that only 3% of people trust marketers (just over lobbyists and politicians). And B2B marketers specifically are facing the worst of it. MarketingProfs and CMI’s most recent report found that only 51% of B2B marketers state that their marketing is moderately successful and 61% of them still don’t have a document content strategy. 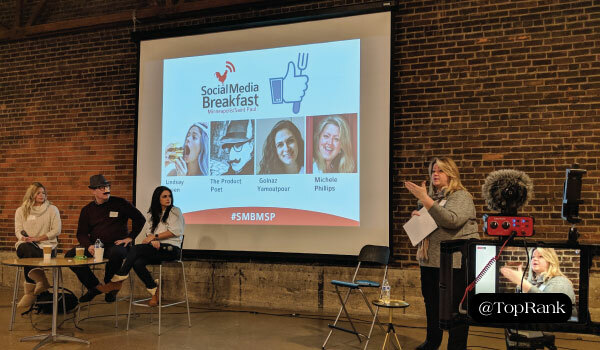 This week at MarketingProfs B2B forum, some of my favorite influencer marketers took the stage for a lively discussion on how they’ve been able to scale content creation by collaborating with influencers. If you’re interested in influencer marketing, then you’re in for a real treat. In this post, I’ll outline some of the best insights for B2B influencer success. But first, let’s look at WHY influencer marketing is a must-have for B2B marketers. The air is crisp and the leaves have fallen which means it’s time for one of my favorite Fall events: MarketingProfs B2B Forum. Each year, B2B marketers from around the globe gather for this epic event. And this year, the forum is moving to San Francisco (we’ll miss you Boston) for the very first time. At the conference, TopRank Marketing CEO Lee Odden will be guiding an expert panel of B2B influencer marketers who will dig into what it REALLY takes to create and scale a successful program. Shortly after, I will be taking the stage to share how you can identify influencers and tap into their superpowers with my Stranger Things themed presentation. We’d love to see you at both sessions if you can make it! 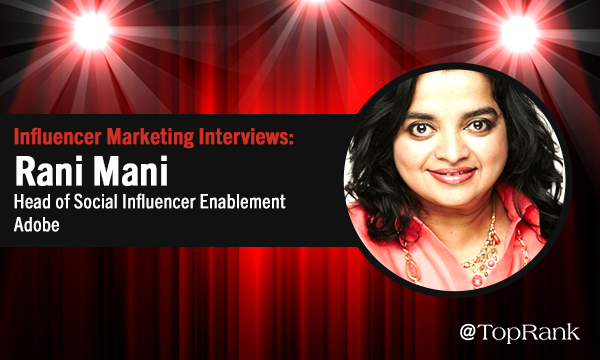 For this week’s installment of B2B influencer marketing interviews, we get to meet Rani Mani, Head of Social Influencer Enablement at Adobe. 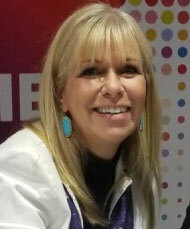 Besides her accomplishments working with cross functional teams and developing strategies for cultivating and nurturing community engagement so that Adobe can be a community driven business, she has an amazing and inspiring personal story. 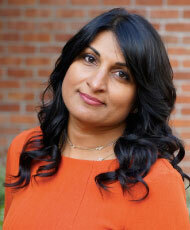 In this interview, Rani shares how working with B2B influencers can drive marketing results, how influencer engagement is organized at Adobe, tips on recruiting and engaging influencers, and some her favorite B2B influencers to work with. I am passionate about community building and shining a light on the people doing amazing things in the world with our products and services. Influencer Relations is a perfect fit for that passion. According to the World Federation of Advertisers, 65% of multinational brands will increase their influencer marketing spending in the next 12 months. Mediakix reports that influencer ad spending alone will increase from $5 billion to $10 billion in the next 5 years. Clearly, more companies are moving into the world of influencer marketing. Recent research from Traackr and Brian Solis from Altimeter group offers evidence of this momentum with the number of companies moving from experimenting to implementing tactical influencer marketing programs increasing from 28% to 47%. 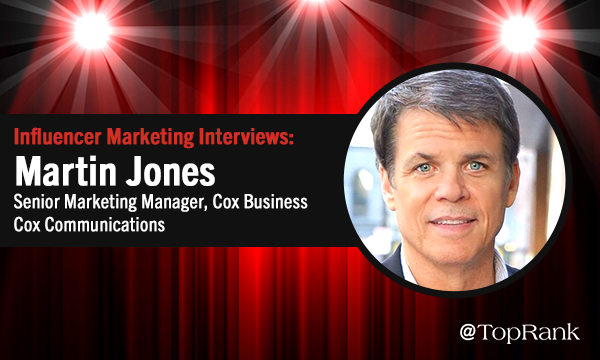 I’ve known Martin Jones casually through marketing conferences for several years. Martin occupies that unique position of being someone who manages influencer marketing programs for his brand and is also an influencer himself. In fact, it is through an influencer engagement for IBM that both Martin and I were involved with that I had a chance to get to know him in earnest. His climb at Cox Communications is a classic American success story and at the same time, Martin is incredibly humble and one of the nicest people in the industry. In this interview, Martin shares his journey into working with influencers, tips on identifying, recruiting and managing relationships with influencers as well as insights on measurement and his thoughts towards the future. A hot topic for every marketer today is working with influencers. But how do you find the right influencers? How do you manage those relationships and how do you scale programs? Basically, what tools do you need when it comes to B2B influencer marketing? Here is a collection of social media and influencer marketing tools you might find useful whether you’re a B2B or a B2C marketer. But definitely if you work in B2B. Outside of the promotional tools you might use for the content marketing that goes along with most influencer marketing programs, there are three general areas of opportunity to scale with technology when it comes to working with influencers.